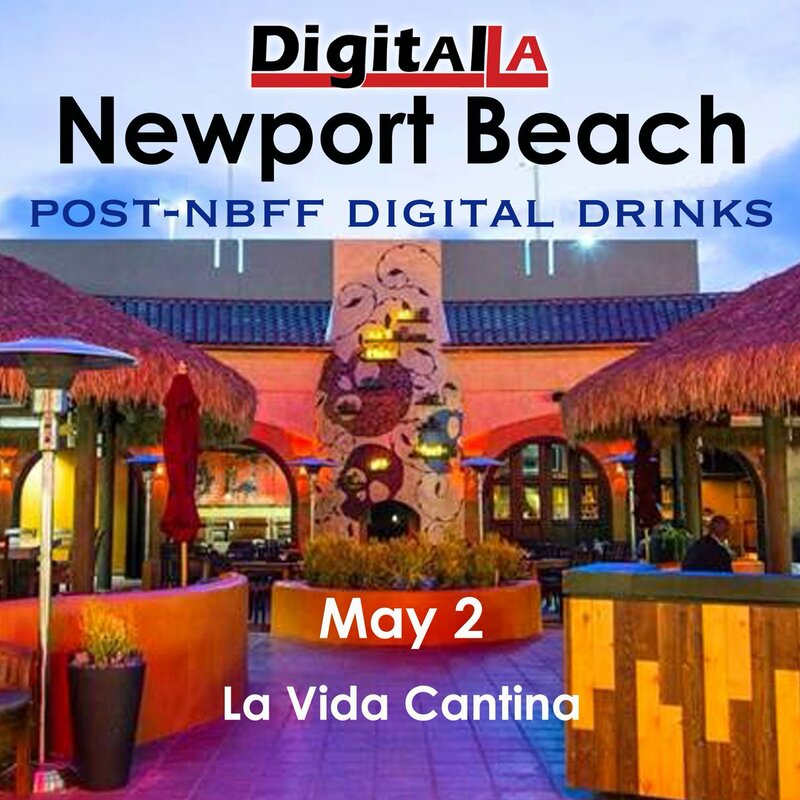 Join us for our annual Newport Beach cocktails after a tech-related Newport Beach Film Festival film screening. This year, we are meeting up on the closing day of the Newport Beach Film Festival, immediately after the film Megalodemocrat: The Public Art of Rafael Lozano-Hemmer. This film documentary shows how Canadian-Mexican artist Rafale Loazno-Hemmer uses technology to project immersive images of passersby at public places around the world, includng buildings, landmarks, and the beach in Los Angeles. Get tickets to the NBFF screening on your own for the May 2, 6p screening at the Triangle theatre in Costa Mesa on the NBFF website. After the screening and Q&A, look for us at nearby La Vida Cantina restaurant to chat about the film, digital and tech, and enjoy casual snacks. Digital LA will pay for light nachos and appetizers to share. Buy drinks on your own. A NBFF pass is NOT required for our meetup.